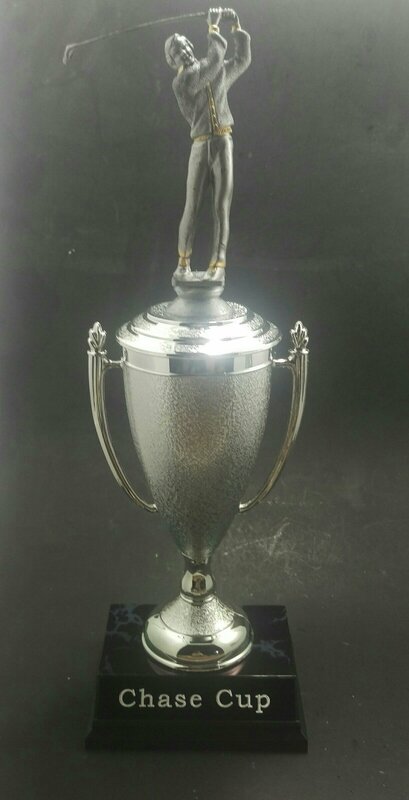 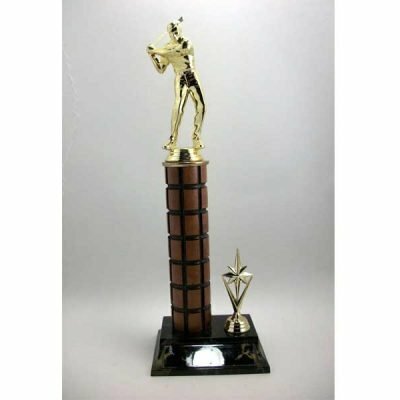 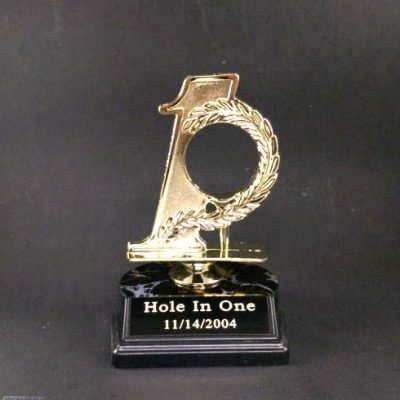 A 14 inch tall golf Cup trophy with free engraving on black plate. 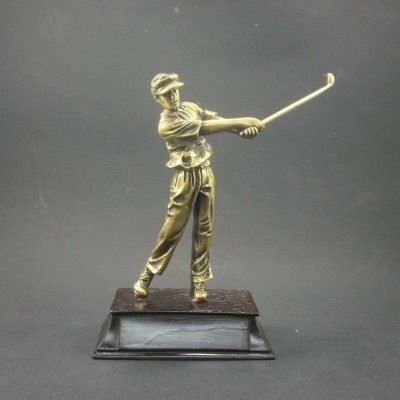 A 14 inch tall golf Cup trophy with free engraving on black plate. 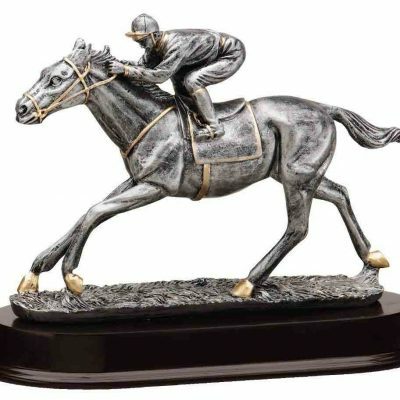 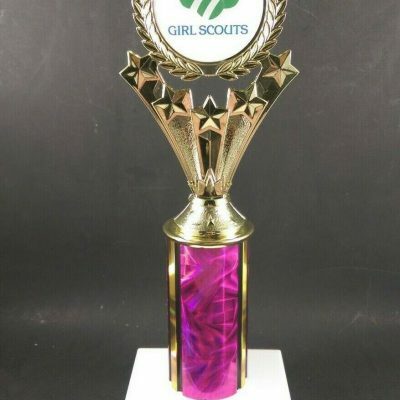 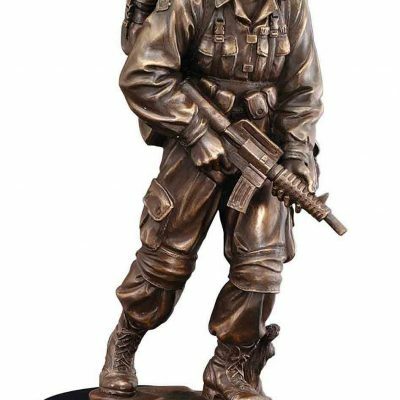 The trophy is Silver in color that is made of a base, cup, and figure made out of hard plastic.